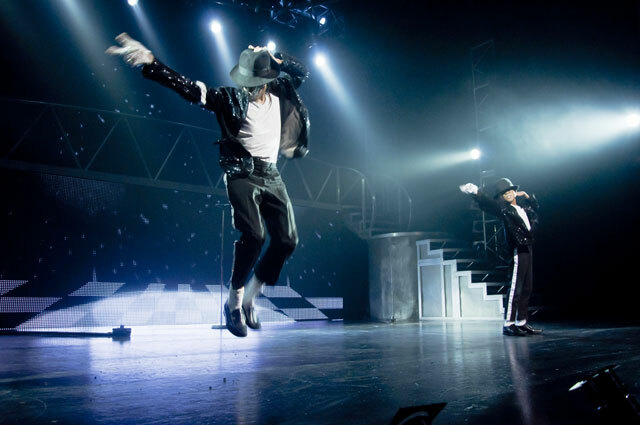 With five successful years in the West End under its belt, we went along to catch Thriller Live for it’s 2,000th performance at London’s Lyric Theatre to see how it’s holding up and if the show is managing to keep Michael Jackson’s magic alive. Established in 2006 and in the West End since 2009, Thriller Live kicked off its London residency when Jacko was alive and well and now has a real poignancy since his death. However, the show is ultimately a celebration of one of the most influential musicians in history and really showcases the musician’s legacy. Thriller is more of a pop concert than a musical, there is no narrative at all, which is hardly surprising given Jackson’s controversial background. Instead the show focuses solely on the man’s music, kicking off with The Jackson 5. The super-talented Eshan Gopal stole the show with ease as a young Michael Jackson, showing a stage presence and musicality beyond his years. The remaining four ‘brothers’ got lost in the background whenever Gopal was working the stage – much to the crowd’s delight. Pop Idol’s Zoe Birkett was the sole female singer, continuing the show’s reliance on reality show has-beens (past performers include rejects from American Idol, the Voice and The X Factor), although she proved easily why she has been working consistently in the West End since her Pop Idol days alongside Will Young and Gareth Gates. Birkett displayed a real conviction and kept up with the energetic dancers with ease, despite the killer heels. Her voice did become a bit affected during some of the later numbers as she emulated Jackson’s grit but overall she was firing on all cylinders. Ricardo Alfonso also made his mark, sending shivers down the spine with an outstanding performance of ballad She’s Out Of My Life. So the singing is in safe hands, but what about the all-important dance moves? In general, the dancers and choreography are up to Jackson’s high standards and the cast works really hard, constantly covering every inch of the static stage. Leah Hill and Rob Anker shine throughout, consistently delivering intricate moves with precision and passion. David Jordan is given the task of imitating Michael and nearly succeeds – he has the fluidity but not the sharpness. Despite being packed full of hits, the second half drags and the show could do with with a few edits. In other bad news, the costumes are routinely awful. It looks as though the cast went on a shopping spree in Primark, doused themselves in glue and rolled around in a haberdashery. The show is very simple and about as subtle as LaToya’s plastic surgery, but for a fun night out, packed full of hits, Thriller Live delivers.